Please note that the park is CLOSED on Sunday, April 21st. Happy Holidays! If you love to stay active and are usually smiling, come work with us! 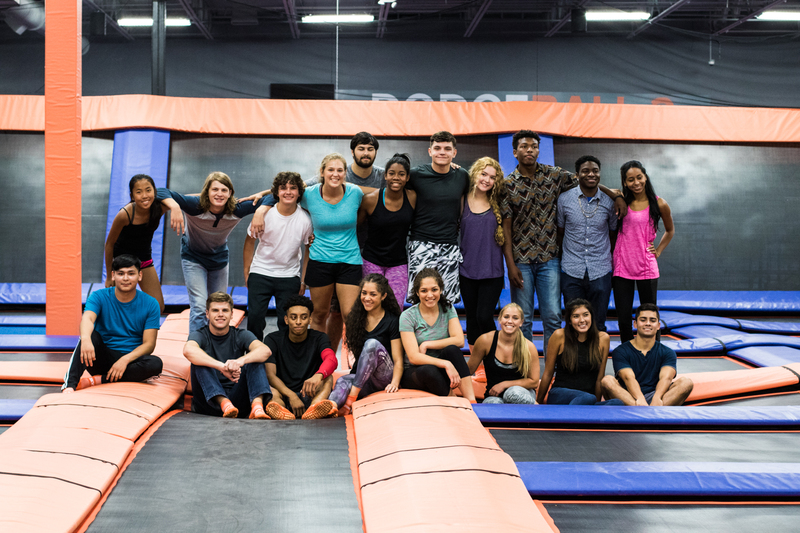 At Sky Zone you’re not just an employee, but an essential team member, facilitating fun for our guests and enjoying yourself along the way. Sky Zone Allendale is NOW Hiring! Join our AWESOME team today! The Cashier will provide information and complete sales transactions while maintaining the highest level of Guest service. The Court Monitor will work directly with Guests, providing courteous, friendly, and professional assistance while enforcing Sky Zone safety standards. • Pay attention to the court at all times and be interactive with the participants. The Event Host will help create a Fun and engaging experience for Guests through courteous, friendly, and professional assistance. Emphasis on in-room party activities.